Dark Woods | Mac App Storeのアプリ検索・ランキング BuzzMac! 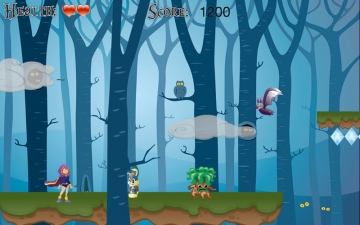 Enter the realm of Dark Woods, a Magical, Mystical, Sidescrolling Adventure that will keep you on your toes, and mystify you with Gorgeous, Eye Popping Graphics! 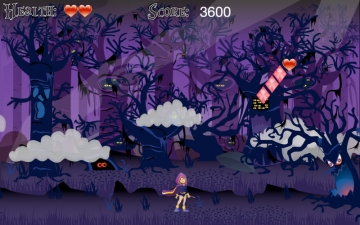 You're on a Quest to Rid the land of an Evil Curse placed by Eve, an evil Sorceress. Magical, and mystical enemies await you in over 5 Breathtaking Worlds as you attempt to restore Peace and Harmony once again! 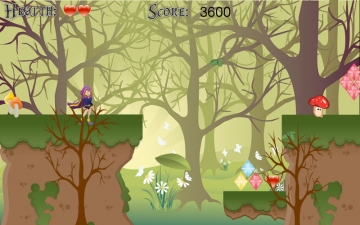 Stomp Enemies, Collect Gems, and run through treacherous domain, until you reach the final encounter with Eve herself. Once you finish the game, you'll want to play it again! 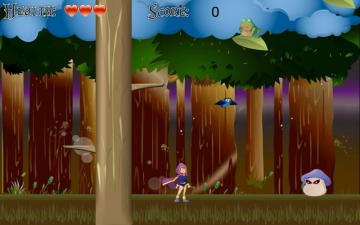 Gorgeous graphics in high resolution with bright, eye popping visuals that will blow you away! Unique and bright characters and enemies that will mesmerize you! Gorgeous, and Vibrant backgrounds and environments that will make you grin like a giddy girl! Very unique End Boss, and Delightful music to match the environments and tone of the game!